Join us for a happy hour, meet some of our Fellows and Visionary Cause Leaders, and learn about their impact on Baltimore. Learn from Visionary Cause Leaders about their experience hosting a Baltimore Corps Fellow. This event will be a panel where the audience will be able to ask questions. A light exists in Spring that makes us all stop and notice. We shed the layers of winter and new life springs forth. We are organically motivated with a new energy propelled by the utilization of all that we have gained from the focus of the winter hibernation. This energy is apparent in all of our programs. Our current Fellows are working on capstone projects as they finish their year strong even as we begin the review process for our next cohort. Recurring and new Visionary Cause Leaders are energized as they prepare job descriptions for Fellows who will help advance their work in the year ahead. As you’ll see in some of the highlights below, our Elevation Awardees – past and present – are making their presence known in and around Baltimore, the region, and beyond. From innovative STEM programming to fighting blight, welcoming refugees to healing activists, we couldn’t be more proud of the incredible impact these community leaders are making here in Baltimore! And the energy around Baltimore Corps’ year-round Place for Purpose service has resulted in its expansion to include executive searches in addition to mid-to-senior level placements! Things are certainly abuzz here at Baltimore Corps. We invite you to join us as we prepare to enter a new season of planning. A season that will include a blow-out celebration of our five-year anniversary! I can’t help but to be re-energized in the pursuit of our goals with an increased focus on quality and impact. I invite you to enjoy this new season with invigorated and passion and a boost of energy! Wednesday, May 2 | 4:00-5:00 p.m.
or watch on Facebook Live. Hear firsthand from Green Street Academy students about what they learned and experienced on their recent trip to study social entrepreneurship in New Orleans with Fellow Jackie Bello of Dent Education. The student explored design thinking on Tulane's campus, worked with peers from Rooted High School, ate beignets, danced in the middle of Frenchmen Street, and met local artists, musicians, and community leaders who taught them lessons on what it takes to create something that helps others. Saturday, May 12, 2018 | 5:30 p.m. 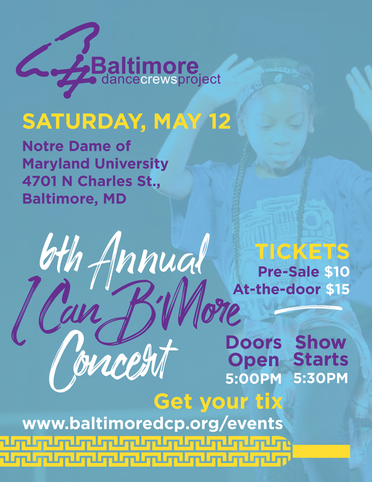 I Can B'more highlights the positive impact hip-hop dance has on students and Baltimore. Through dance performances and stories, the concert celebrates youth as today's change makers who drive the future of Baltimore's cultural arts. May 17 & 18, 2018 | 9:30 a.m.-4:30 p.m. The Great Blacks in Wax Museum | 1601 E. North Ave.
No matter if you are working at a local mental health agency, are in private practice, or if you're someplace in between... if you are passionate about better equipping yourself to provide quality, culturally affirming, liberatory psychotherapy for Black people who fight for social change, this training is for you. April was a busy month for 2016-17 Elevation Awardee Brittany Young. During Light City’s Social Lab, she pitched her B-360 program and won the Warnock Foundation’s “Social Innovator of the Year.” She then traveled to New York for interviews as a finalist for Echoing Green’s next class of Fellows. Brittany wrapped up the month pitching for DC Shark Tank and serving on a panel at the Google offices in DC as part of the Broccoli City Conference. Check out the B-360 website to learn more, get email updates, donate, and more. On April 29, 2016-17 Elevation Awardee Wendy Camilla Blackwell participated in CASA’s The Art of Caring Reception and Art Auction. On April 28, Fellow Ateira Griffin spoke at Project Beautify You, Inc.’s annual The Girl Conference, held at the Under Armour House. 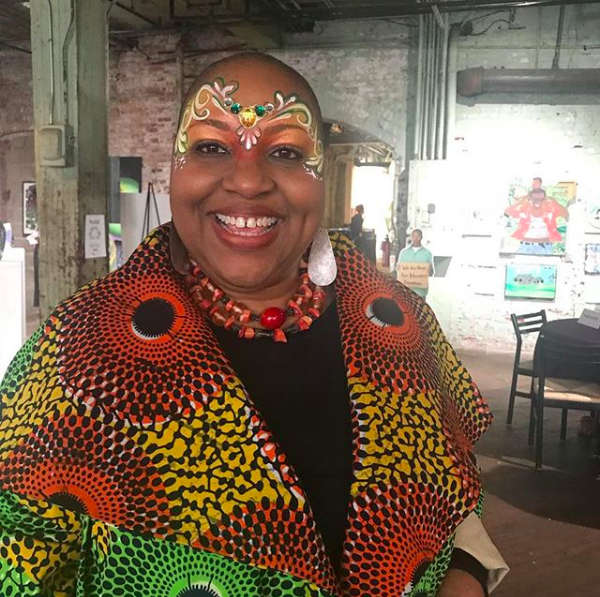 On April 28, Elevation Awardee Shawna Murray-Browne hosted a bodywork program at The Living Well Center as part of her Healing BMore Activists program. On April 25, Elevation Awardee Nneka Nnamdi was awarded a grant from Baltimore Women in Tech for her Fight Blight Baltimore program. On April 25, President & CEO Fagan Harris spoke to the Macaulay Honors College at Hunter College in New York. On April 24, Elevation Awardee Mera Kitchen Collective participated in the Johns Hopkins University Social Innovation Lab’s Impact+Innovation Forum. On April 21, Elevation Awardee Ana Rodney presented Foundations in Energy Healing at the North Avenue Knowledge Exchange. 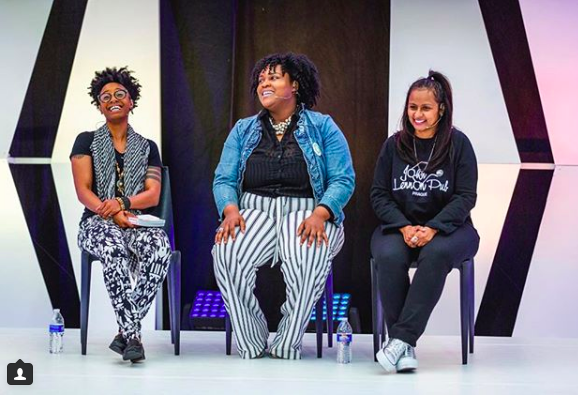 On April 20, 2016-17 Elevation Awardees Michelle Antoinette Nelson moderated a discussion aroung empowering youth through their own culture as part of Light City’s Maker Lab. The discussion also included 2016-17 Elevation Awardee Brittany Young. 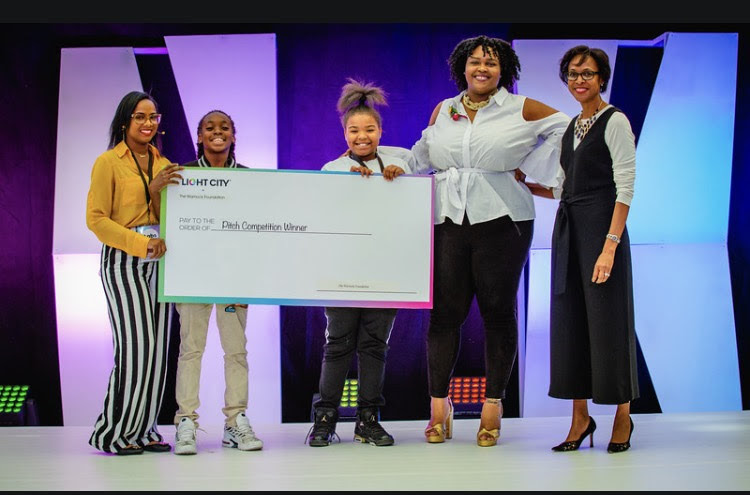 On April 19, 2016-17 Elevation Awardee Michelle Antoinette Nelson and Visionary Cause Leader Dr. Leana Wen participated in Light City’s Health Lab, emceed by Alumnus David Fakunle, Ph.D.
On April 18, 2016-17 Elevation Awardee Brittany Young participated in – and won – the Warnock Foundation’s Social Innovator of the Year pitch competition. 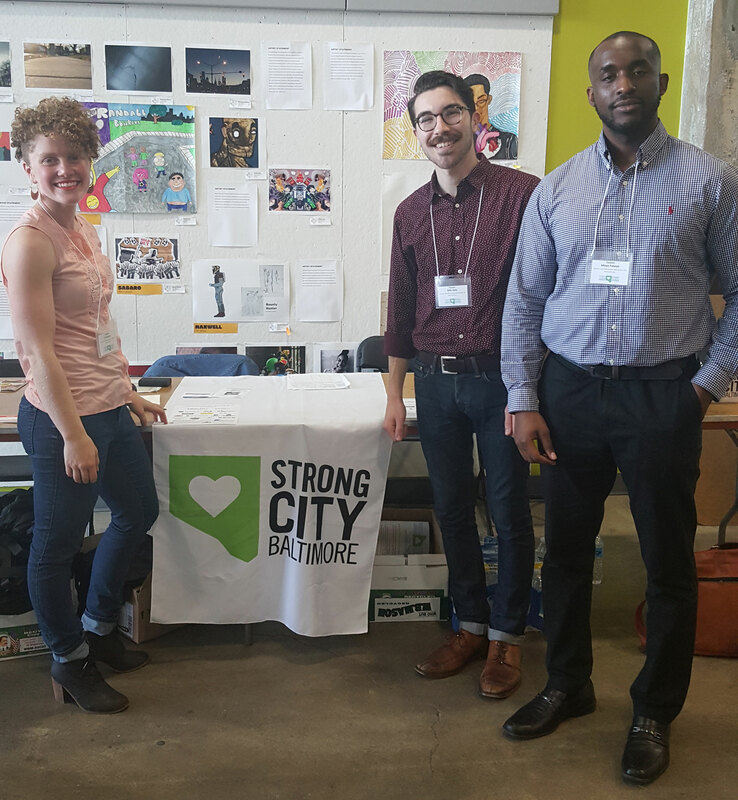 On April 13, Baltimore Corps staff, Fellows, and alumni presented at Strong City’s Neighborhood Institute. On April 10, President & CEO Fagan Harris led a panel on community and educational systems in the city of Baltimore as part of the #RethinkSummit. On April 7, Baltimore Corps Fellows continued in the Race & Equity Series with Dr. Lawrence Brown of Morgan State University. The session focused on understanding community and organization partnership; the assets and deficits to collecting data; and some LEGO play as Fellows built equitable spaces. On April 7, Baltimore Votes hosted its first annual Community Civic Engagement Leadership Summit with leadership from Baltimore Corps Fellow Eean Logan. More than 40 community members, students, and professionals from all over Baltimore came together to learn from one another’s experiences and plans to educate and motivate eligible voters this year and beyond! On April 6, President & CEO Fagan Harris spoke on a plenary panel at Ashoka U’s #Exchange2018 at Babson College in Massachusetts.